*Prices are indicative and depend on the current gold price and ring sizes. Shipping costs included, US and Canadian tax rates excluded. Please note that persons who hold a Canadian First Nations status card and live and work on their reserve are generally tax exempt. 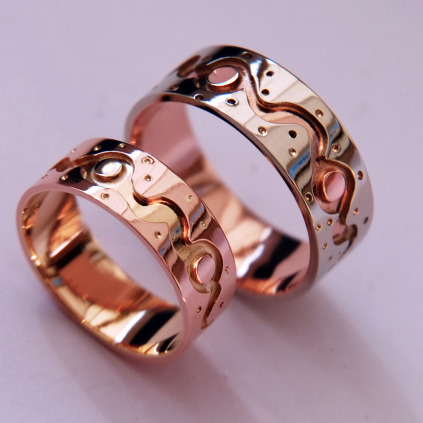 Visit my art blog to read more about the story behind the wedding rings.